by Jane Chuck. : CNY Shopping list ?!?!? Chinese New Year is around the corner and I literally have nothing new to wear. I haven't been shopping much for CNY because I wanted to invest things that are easy to style with. I've decided to pay more attention in little things like bags and accessories. Something that makes a plain tee and a pair of jeans cooler. I personally pick a list of stuff that I found on matches that could enhance a CNY outfit. 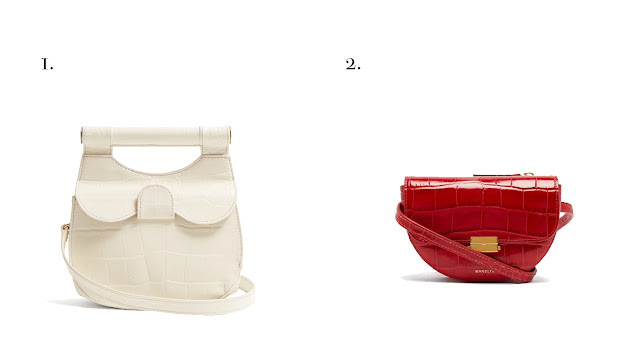 Including bags from STAUD and Wandler which I think can be styled with almost everything. 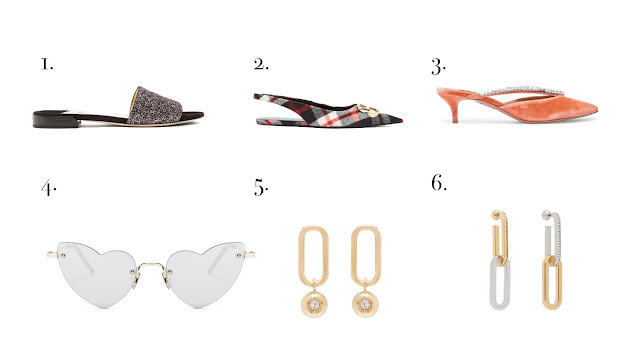 Shoes with blings to pantone color of the year and of course, pretty earrings from Burberry! I personally have no.5 in silver and IT'S ONE OF MY BEST INVESTMENT. Can't believe it's on sales in matches?!?! EVERYTHING SO CUTE BUT I GOTTA BUDGET. LET ME KNOW WHAT SHOULD I GET FROM THE LIST!!!! Btw, if you want your stuff to arrive before CNY, you have to check out ASAP. Just to be safe, Matchesfashion.com provides fast shipping in 3-5days!